2. Promo is applicable to registered PVC and SDC holders only. 3. Valid for cash, credit card, and Petron eFuel transactions. points and birthday bonus points. 6. Promo is valid only at participating Petron stations nationwide. 7. All existing Petron Value Card and Super Driver Card guidelines will continue to apply. 8. No registered PVC/SDC, no points. 9. Promo is not applicable to PO, bulk, and fleet accounts. i have gas up on your first 3-day Triple Treat last 10-12Nov but haven’t got any triple points. Is this automatic application when you gas up or it will be randomly raffled? Hi Charlie! Yes it should be automatic if the station you gassed up at is a participating station, meaning it’s part of the list that is linked in the post. 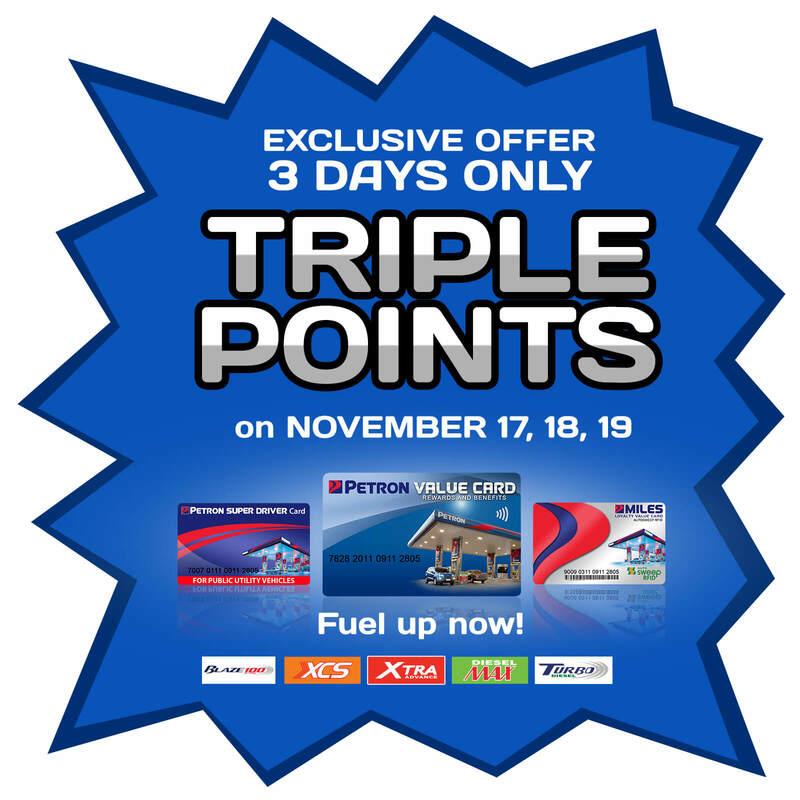 If it is and your points were not tripled, kindly email Talk2Us@petron.com to get your promo points. You may also message us on FB Messenger with your mobile number details so we can forward to our Customer Relations who will call to assist you personally. Thanks.